The combination washer and dryer is more energy efficient, and takes up much less space than conventional washer and dryer units. 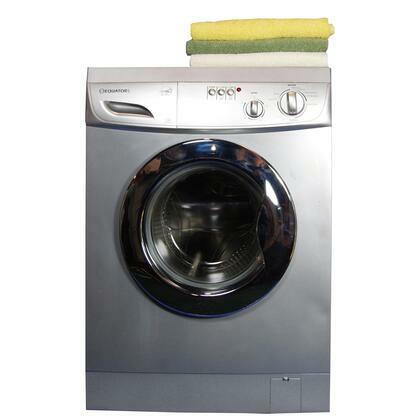 Because this machine is both a washer and a dryer, you never have to transfer loads from one machine to another. Fully Automatic: From washing to drying cycle without interruption. Ventless Drying: No ventilation is required (EZ 3720 CEE). No need to worry about dryer exhaust heating the room.